In the meantime, he was tonsured a monk by the abbot of the monastery, Archmandrite Anthimos (Georgiellis), who gave him the name Euthymios. For the next eight years he practiced asceticism in the Leimonos Monastery. In 1900 he was sent by the monastery to the Theological School of Halki, where he studied from 1900 to 1907. In 1906 he was ordained a deacon by Metropolitan Agathangelos of Grevena, and in 1907 he completed his thesis titled: "The Purpose of Monastic Life in the East Until the 9th century AD." After his graduation, he returned to Lesvos, where Metropolitan Stephen (Soulidis) of Methymna appointed him the head of the Leimonos School, as well as the itinerant preacher (hierokeryx) of the Metropolis of Methymna. He performed this role between 1909-1910, during which time he was known for his oratory prowess and the rich content of his sermons. In the 1909-10 school year, he served as headmaster in the municipality of Gera, in the region of Mytilene. In 1910 he was ordained a priest by Metropolitan Stephen (Soulidis) of Methymna, and served as the protosynkellos of the Metropolis of Methymna until 1912. 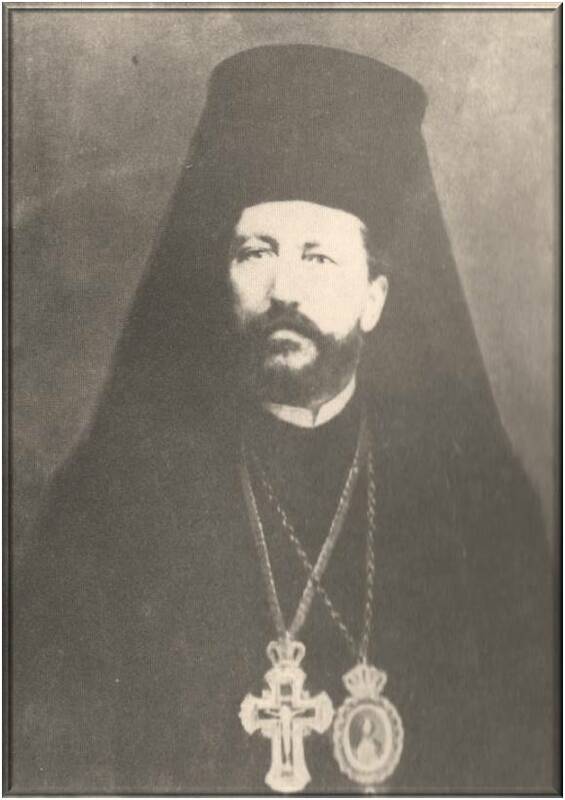 In 1912 the Metropolitan of Amasya Germanos Karavangelis (based in Samsun), who was himself a native of Lesvos, received Euthymios as his general commissioner. It is said that the Ecumenical Patriarch himself Joachim III first introduced Euthymios to Metropolitan Germanos, having been informed of the talents of the young clergyman. 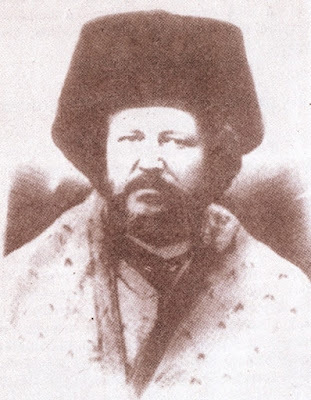 Thus the Great Church of Christ promoted Euthymios as assistant bishop to the Metropolitan of Amasya, bestowing upon him the illustrious high title of old, of Western Pontus, that of Bishop of Zela (modern Zile). His ordination to the highest order of the Church took place on June 12, 1912, in Constantinople. However a short time thereafter, the terrible period of the great persecution of the Anatolian Greeks erupted, especially in the regions of Samsun and Pafra.3 From then on the activities of the Bishop of Zela changed from efforts for progress and revival, into struggles for relief and retrenchment. He transitioned untiringly from place to place, oftentimes in danger and tried by deprivations and malaise, in order to provide his assistance to those he found in despair or in exile, and to the distressed Orthodox Christians. In April 1917 a large force of the Turkish army sent by Refet Bele Pasha and commanded by Mehmet Ali encircled the monastery of the Theotokos near the village of Otkaya (Otkayada), on the west side of Mount Neltes (Nebyan), where the cave called Maara (or the Virgin or Magara) was located, encircling 650 women and children and 60 armed rebels. After six days of resistance most of the besieged were killed or committed suicide. Of those that were captured many of the young girls and women were dishonored, the children shot, and the men beheaded. In 1919, in response to this act, on the forefeast of the Dormition of the Theotokos, Euthymios gathered 12,000 insurgents outside of the small town of Tsasur (Tsassour), under the command of Kyriakos Papadopoulos, resulting in the complete destruction of the Turkish armed forces and the town. From that day onwards Euthymios was considered a wanted man by the Kemalist Turks who viewed him as a leader of the insurgents of Western Pontus. He and other notables were restricted in their activities and suffered due to the interrogations they underwent. The jails were filled with Christians of every age and social status. Everywhere there was exile, the gallows, disgrace, and the sword and fire. On the forty-first day of his isolation, on May 29, 1921, completely exhausted from the hardships, deprivations and tortures, he gave up his soul to the Lord and received the incorruptible crown of martyrdom. It was the irony of fate that his conviction from the high court in Ankara arrived after his death, with the sentence being the 'Independence of death'. Nevertheless, his dead body was hanged in the central square of the town together with the others who had been sentenced to death including politicians, businessmen, journalists and religious figures of the local Greek community.5 Afterwards his guardians buried him quietly in the courtyard of the adjacent church. On May 30, 1936 on the fifteenth anniversary of his martyrdom, the Leimonos Monastery in Lesvos celebrated the unveiling of his bust. Since then the white likeness of his image reminds pilgrims of the sacrifice of a shepherd who laid down his life for the sheep and remained faithful unto death. In 1998 a chapel was built in honor of the Saint at Leimonos Monastery, in the Holy Metropolis of Methymna. His memory is celebrated on May 29, as well as on the Sunday before the Exaltation of the Holy Cross. 2. Founded in 1526 by Ignatios Agallianos, who is celebrated today as a saint by the Greek Orthodox Church, the Monastery of Leimon (Leimonos Monastery) has played a very significant role in the church history of Lesvos island, at the centre of which it is located. The 'Leimonias school' was the first school to be established on Lesvos after the occupation of the island by the Ottoman Turks (1462-1912), and for quite a long period it was the only one that existed. 4. Due to a campaign by the forces of Hassan Ali Bey to capture young girls in order to send them to the slave markets of Anatolia, in 1680 a large number of women and young girls entered into the fortress of Ali (later called "Kızkalesi" - "Maiden's castle"), in order to escape being taken and enslaved. After being besieged for 48 days, some of them lost their senses, others died of hunger and thirst, and others escaped secretly and surrendered to the forces of the derebey, since they could no longer withstand the hardships. However one group of 30-40 young girls, unwilling to be captured, climbed to the highest summit of the fortress, from where they fell and committed suicide. After these events took place in the region of Pafra, an uprising of a number of courageous Greeks took place who climbed the surrounding mountains and armed themselves, making reprisals on the forces of the derebey, undertaking an unequal but virtuous struggle against the Turkish oppressors. The dance portrays the movements of the girls as they jumped into the void to meet death on the steep and sharp rocks. The musical instruments that were used were the flute (ζουρνάς) with the Davul (νταούλι), and the Lyre (λύρα) to a lesser extent. A similar mass female suicide took place in Eprius in 1803, known as the Dance of Zalongo.